Mardi Himal Meditation Trek is a peaceful trek in the Annapurna region of Nepal. The trail offers more natural rewards and less human traffic. 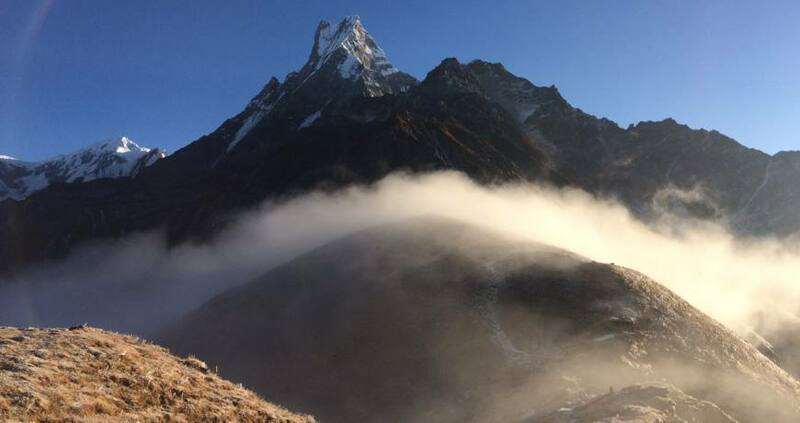 If you are looking for an isolated trekking with picturesque trail, Nepal kameleon Holidays recommend you Mardi Himal Trek. The tranquility of the trail provides new introduction to the trekkers as a meditative trail. The rhododendron forest, waterfalls and the jaw dropping landscape offer charismatic brilliancy during the trek to Mardi Himal. Combining meditation session each day offers the heavenly pleasure of refreshing mind and heart. Mardi Himal Meditation Trek begins from Kande after driving from Pokhara. 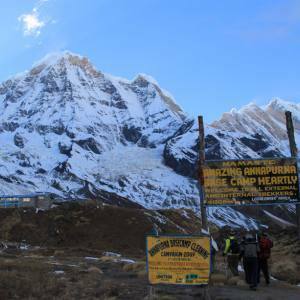 It goes through the Australian camp, Forest camp and high camp that ultimately leads you to the Mardi Himal base camp (4500 meters). You can explore the Himalayan sceneries of Mardi Himal, Machhapuchhre (Fishtail), Annapurna South and Himchuli during the trek. They are incredible peaks that surpass your imagination. This is aptly called trekking through the Wordhworth trail. It is a lodge based trekking that has warm dining halls. Trekking back to Sidhing, you drive to Pokhara and conclude the trek. Day 07: Day trip Mardi Himal base camp (4500 meters) and back to High Camp. 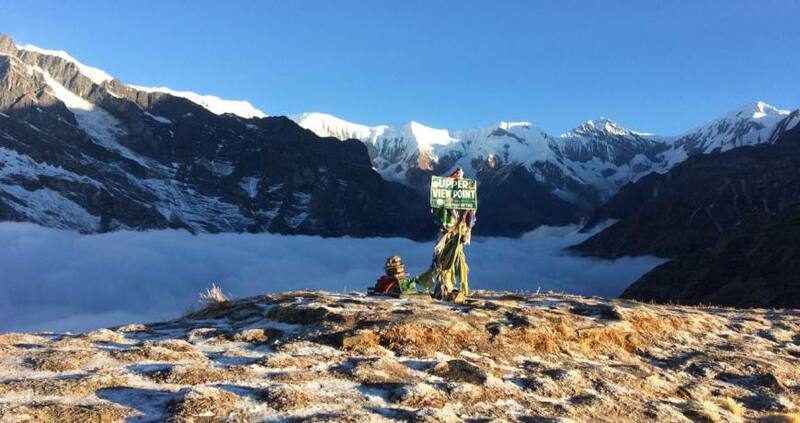 Day 08: Walk from High Camp to Sidhing (3550 meters) 6 hours trek. Day 09: Drive from Sidhing to Pokhara. Day 10: Drive/Fly from Pokhara to Kathmandu. Thanks giving 3 hrs free walking tour in Kathmandu. Our Mardi Himal Meditation Trek itinerary can be customized by adding some extra days and also some cultural programs in Kathmandu and Pokhara. Day 07Day trip Mardi Himal base camp (4500 meters) and back to High Camp. Day 08Walk from High Camp to Sidhing (3550 meters) 6 hours trek. Day 09Drive from Sidhing to Pokhara. You can be interested in Chitwan Jungle Safari trip after concluding the trek. Please, have a look.